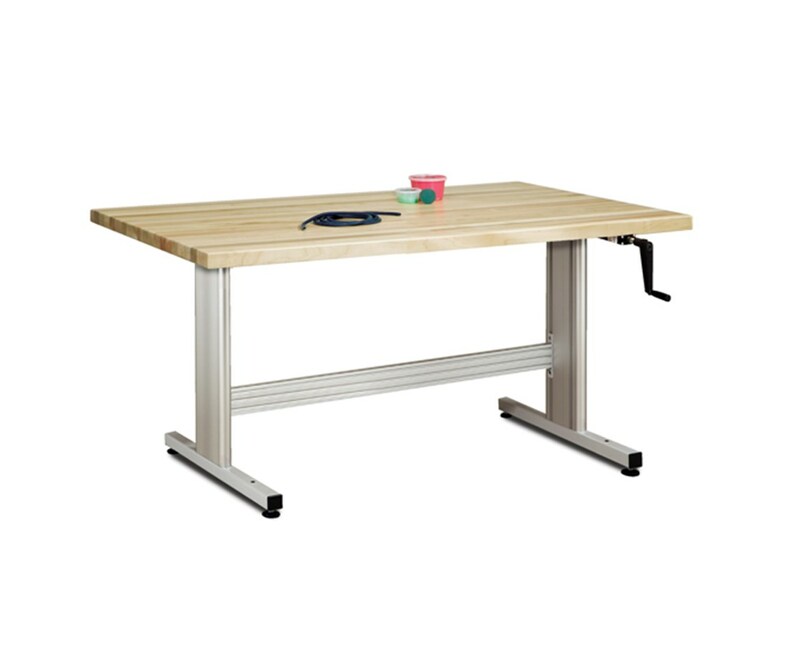 The Clinton Industries Maple Butcher Block Work Activity Table with Hand Crank Height Adjustment is a durable and versatile medical device designed to provide patients a specific work area for exercises and physical therapy tasks required by doctors. Robust Construction and Easy Adjustability. 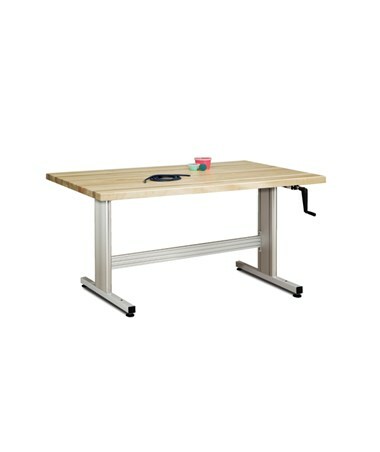 With its strong and sturdy construction, the Work Activity Table with Hand Crank Height Adjustment has a solid maple butcher block tabletop with a clear topcoat. It can fit 4 to 8 patients depending on the size and is mounted on an all-aluminum, powder-coated base for ensured sturdiness and optimal strength. The table features a dependable, hydraulic fold-away handle that can adjust height hassle-free.